Purl Soho recently posted a tutorial on how to make friendship bracelets on their blog at PurlBee. 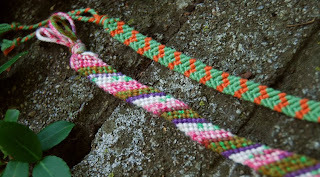 I used to love making friendship bracelets! Their post triggered an onslaught of summery memories for me: lazy afternoons in the crafts cabin at summer camp, DIY bubblegum-colored pedicures to show off in my flip-flops, and gooey s'mores and late night ghost stories under the stars. 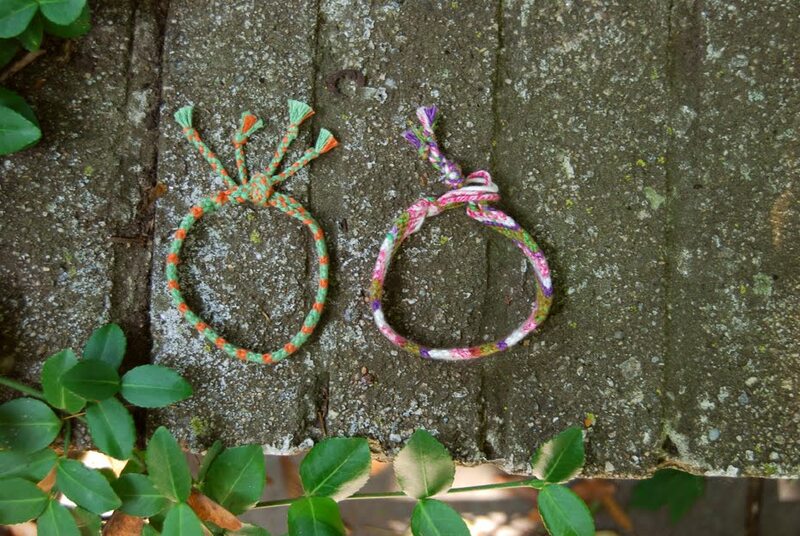 Though these once epitomized the fierceness of my adolescent relationships, I love how they look on my adult self too--kind of bohemian and casual, perfect for wearing to the lake. How come I never thought of these fun stash-busters before? What kinds of yarn work best for these fun macrame projects? 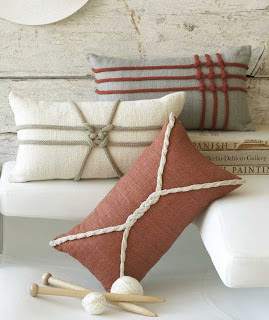 Cotton is the perfect choice, though other cellulose fibers would work fine too. Cellulose fibers are those that are derived from plants (as opposed to protein fibers which come from animals). Do you have any scraps of these yarns laying around? All you need is 72 inches! Head over to our Facebook page and show us what you came up with! 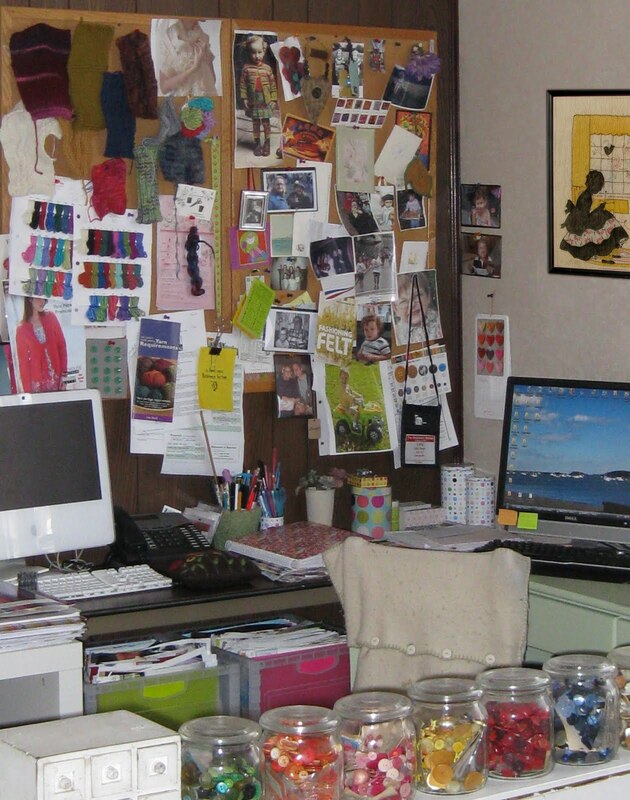 Cathy Payson is a prolific knit designer who has been designing for Classic Elite for years. 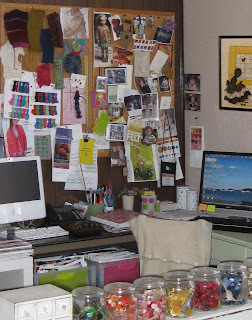 Search her name on Ravelry and you'll find almost 60 patterns, ranging from online publications to books and even to TV with her contribution to Knitting Daily TV. She is the designer behind Sparrow and Blue Heron, two patterns from our Seedling booklet, and was kind enough to chat with us about her career and design process. I designed my first sweater over 20 years ago. I learned to knit while in college and after one lesson was completely addicted. I took every knitting book I could find out of the library and tried to teach myself whatever I could. Luckily the student who taught me to knit was kind enough to never say no when I asked for help, so I could easily move along in my projects. A few years after college I went to work for Aarlan Yarns and started to learn about the handknitting industry. Since then I’ve been fortunate enough to work at a couple of yarn companies (Classic Elite and Reynolds Yarns) and in knitwear design for a women’s apparel company. Actually I designed my first sweater while working for CEY! I dug the leaflet out of my archives and it’s pattern #282 – called “The Perfect First Knitting Project”. It is a pretty easy v-neck pullover vest with a chunky cable up the center front. I think it was during my first season at CEY and was in a great yarn called Applause. The Perfect First Knitting Project, available on Patternfish! I did two pieces in Seedling – I love that yarn and all the yarns in the Verde Collection. One is the hooded capelet Blue Heron and the other is a cabled necklace called Sparrow. It varies and every project is different. I think ideally it’s great to have 3-4 weeks to work from beginning to end but that doesn’t always happen. Sometimes a yarn is late coming in from a mill and/or photo shoot dates are imminent so you’re given just a very short time to complete a project. You just have to be flexible and work with what you get but basically it’s sketch, swatch, write and size the pattern, knit. Not usually. I’m sort of the chief cook and bottle washer, doing much of my knitting myself. I like to write and size a pattern first before knitting the sample. That way I sort of test the pattern myself and can edit as I go along. I’m not sure if I really have a process but I think in a nutshell I always keep my ears and eyes wide open. You never know when an idea will come to you or where it will come from. I am equally inspired by home magazines as I am fashion magazines and always am looking online for trends and what’s going on in the world. I don’t think that we need to necessarily be on the cutting edge of fashion in the handknitting industry but it’s always good to see what’s out there and what may be applicable. I try to design more timeless pieces that will be challenging enough for a veteran knitter but also accessible for a novice knitter too – the main goal being to end up with very wearable pieces. This photo is of my workspace. But nothing beats my favorite place to knit, which is in a cozy corner of our couch. It’s a sectional with one corner which is the exact right spot to sit and knit. I’d have to say Blue Heron, the hooded capelet. It’s sometimes hard to think of accessories to do for the spring season but I had seen a photo of a suede hooded capelet. 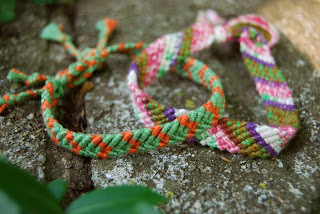 It looked like it was something you’d want to throw on over everything but it was a woven piece. I thought it would be a good idea to make it into a spring accessory in a cozy yarn – for a chilly night or even over a bathing suit at the beach. It's strange to see all the major knitting magazines releasing their Fall issues! Last I checked, it was in the 90's outside and the last thing I wanted in my lap was a pile of wool. Before our thoughts and Ravelry queues turn to Fall, I wanted to take a look at some of the beautiful designs published this Spring and Summer. Let me know if I'm forgetting anything in the comments! 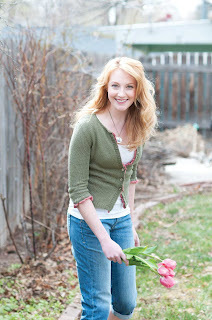 Lodi cardigan, designed by Tanis Gray and knit in Solstice from the Verde Collection. 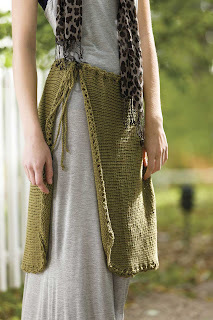 French Creek Skirt by Laura Birek, in Katydid, also from the Verde Collection. 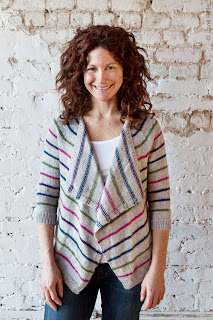 Montour Falls Cardigan by Melissa J. Goodale, knit in Cotton Bam Boo. Radian Yoke Top by Wendy Bernard, knit in Firefly. 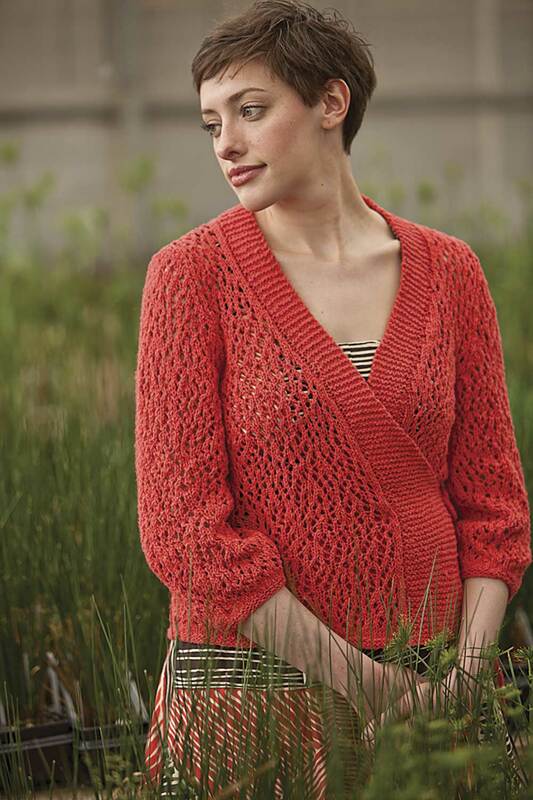 Interweave Knits Weekend: Diana's Cardigan designed by Amy Miller in Allegoro and Silky Alpaca Lace. Photo by Carmel Zucker. Interweave Knits Summer 2011: Coral Cardigan by Nancy Eiseman in Classic Silk. Photo by Kathryn Martin. Okay, so I know the Vogue Early Fall issue is already out. But what about these gorgeous designs from the Vogue Spring/Summer Issue? Long Cardigan Vest (#8) by Twinkle, knit in Cruise by Twinkle. Photo by Paul Amato. Lace Tunic (#14) by Brooke Nico, knit in Katydid. Photo by Rose Callahan. 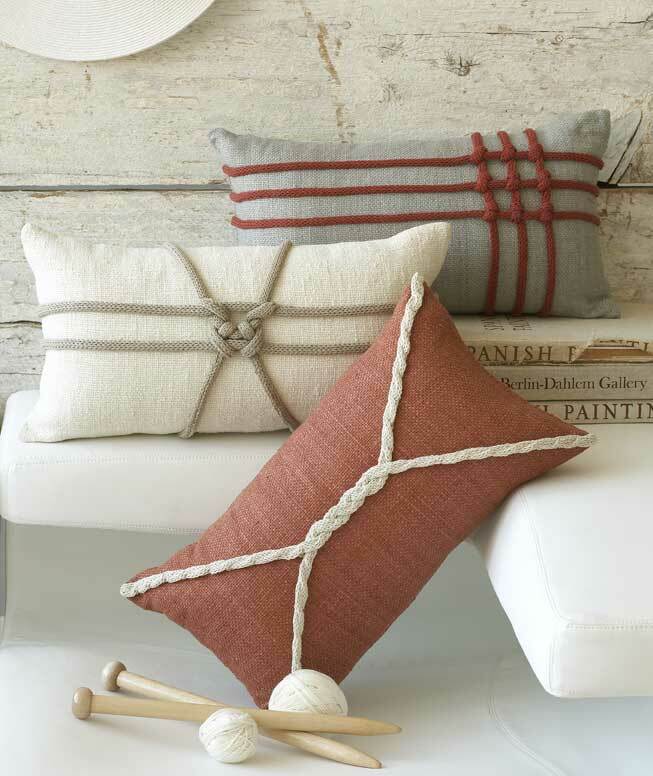 A set of pillows by Nicky Epstein, embellished with Allegoro. Photo by Paul Amato. 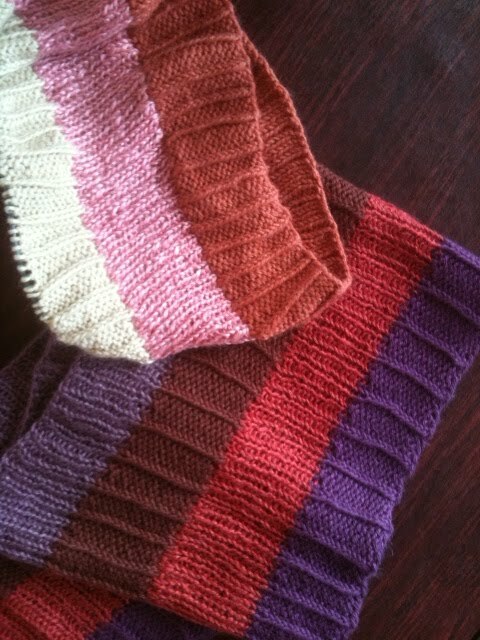 This week's Web Letter features a free pattern for a long ribbed cowl knit in Firefly and Soft Linen. However, the version you see photographed is not the original, this pattern had many other incarnations! This cowl knits up beautifully in almost any combination of yarns--the key is to mix different textures and colors to come up with something unique and eye catching. If you, like me, have trouble pairing colors or feel overwhelmed by all the choices, we've put together some sample color combinations for you to choose from. Which one is your favorite?